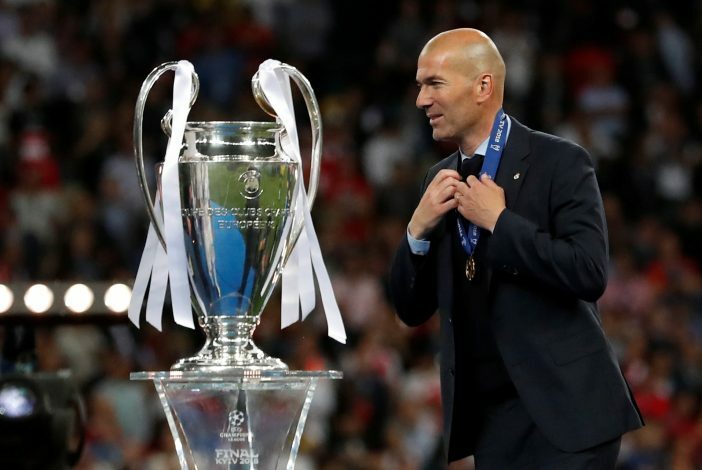 In a shocking turn of events, Zinedine Zidane has announced that he will resign as the manager of Real Madrid. The shock announcement came during a surprise press conference on Thursday. The move is unusual without a doubt, although the reasons he furnished ought to be adequate enough. His retirement as a player was unexpected as well, and it will be interesting to see who will replace him at the Bernabeu. WATCH: What Next For Real Madrid? His short stint at Real Madrid was magical to say the least, and in three years, he has achieved more than some legends have. Three UEFA Champions League titles in as many years, two UEFA Super Cups, two FIFA Club World Cups, and the 2016-17 La Liga title – not a bad haul by a huge margin. This departure is bound to be an instrumental point in Real Madrid’s future. Their Champions League triumph was marred by the remarks of Ronaldo and Bale, both hinting at probable departures and both being linked with numerous big names since. A huge change could be underway at Madrid, with their roster of players teeming with stars that are wanted elsewhere, and at the same time, the club’s intent to go big is bound to have a spending spree impact as well. This is a huge moment to add to the transfer drama, and regardless to say, we are in for one hectic window in the coming days.